If you're attending the Niagara Summit 2018 in New Orleans, stop by booth 318 to see our latest BASautomation products, including our BASpi, the BAScontrol series and the always popular BASrouters. Be sure to let us brag a little about our BASrouter obtaining BTL certification. The new BASpi I/O board is a 12-point expansion board for the popular Raspberry Pi. When you use the BASpi Raspberry Pi image, along with the BASpi, your Raspberry Pi becomes a Sedona controller with 6 configurable inputs and 6 relay outputs and can communicate over BACnet/IP. It is great for BAS training or home automation projects. The BASpi is part of our broader vision for open control. Our BAScontrol series is leading the way in open control, thanks to its use of open source tools and Sedona as an open source programming language. Using a BAScontroller and our free programming tools, system integrators are able to create custom applications using drag and drop programming. New innovations like the BASpi are always exciting, but so is great news about an old favorite. That's why we're thrilled to announce that our popular BASrouter has obtained BTL certification. According to BACnet International, "the BTL Mark is a mark of distinction and has come to represent a high level of quality and conformance based on rigorous independent testing." Obtaining a BTL certification means a product has been independently tested by the BACnet Testing Laboratories and have passed tests designed to validate that the product correctly implements a specified set of BACnet features. The BASrouter provides stand-alone routing between BACnet networks such as BACnet/IP, BACnet Ethernet, and BACnet MS/TP-thereby allowing the system integrator to mix BACnet network technologies within a single BACnet internetwork. We'll also have remote access solutions that eliminate truck roll. 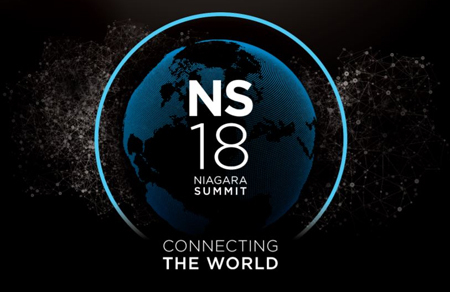 If you're attending Niagara Summit 2018, be sure to stop by booth 318 to say hello.